Other Products by Amazonia. 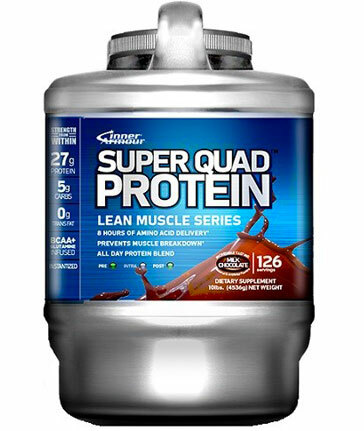 Search other Protein Powder products. RAW Slim & Tone Protein from Amazonia is a fantastic plant-based product that more than delivers on its promise of nutrition. This product not only contains quality organic vegan protein powder, but also contains herbs, spices and greens, to ensure that your digestive needs are covered. Amazonia Raw Slim and Tone is a comprehensive protein option designed to support natural, healthy slimming while helping to banish cravings and achieve real results that you can feel. Specifically formulated to assist with healthy weight management by combining a sprouted and bio-fermented protein base with nourishing trace minerals, nutrient-dense herbs, thermogenic spices and alkalising greens, RAW Slim and Tone Protein is designed to help keep you satisfied, address the root cause of cravings and assist in healthy, long-term weight management and toning, in combination with healthy eating and exercise. This is certainly the BEST VEGAN PROTEIN POWDER FOR WEIGHT LOSS. The plant protein containined in this organic vegan protein powder is of the highest quality, containing sprouted and biofermented golden pea protein. Pea protein contains all nine of the essential amino acids, as well as a host of non-essentials, providing you with only the best plant-based nutrition. Pea protein has even been put through clinical trials and compared to whey protein isolate, with results showing that it was just as effective as its dairy-based counterpart1. The markers used in this study were muscle responses to resistance exercise, which are a great indicator of the amino acid or protein quality of the product. Blend 3 rounded tablespoons (30g) into 200ml of water, almond milk, oat milk, rice milk, natural juice or smoothie. INGREDIENTS: Organic Sprouted Protein Blend 28.3g (Sprouted & Bio-Fermented Golden Pea Protein*, Raw Cacao & Cacao Bean Blend*, Quinoa*, Sprout Blend*: Amaranth Sprout*, Quinoa Sprout*, Millet Sprout*, Buckwheat Sprout*, Chickpea Sprout*, Lentil Sprout*, Adzuki Sprout*, Alfalfa Sprout*, Flax Sprout*, Sunflower Sprout*, Pumpkin Sprout*, Chia Sprout*, Sesame Sprout*) Organic Nutrient-dense Greens Blend 850mg (Natural Sea Mineral Complex, Spinach leaf*, Nettle leaf*, Maca root*, Acai juice*, Nopal cladode*, Lemon juice) Organic Herb & Spice Digestive Bacteria Blend 490mg (Cinnamon*, Cloves*, Liquorice*, Nutmeg*, Ginger*, Cayenne Pepper*, Dandelion extract, Siberian Ginseng extract, Aloe Vera extract, Kelp extract, Parsley extract, Rosehip extract, Ginkgo extract, Gotu Kola extract, Milk Thistle extract). Natural Cacao and Macadamia Blend 290mg (Natural Cacao flavour, Stevia, Natural Macadamia flavour). *Certified Organic. Contains traces of nuts.